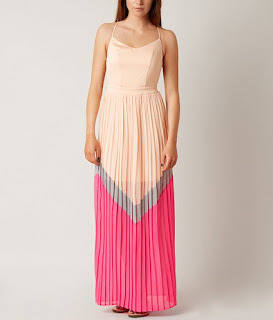 Earlier this month we looked at some great printed maxi skirts. They are playful, elegant, and versatile for summer into fall. Today I thought we would look at some great pleated maxi dresses that scream summer but transition well to fall with the right jean jacket or cardi. The fiancé and I have a 'no spend August' thing going on this month. 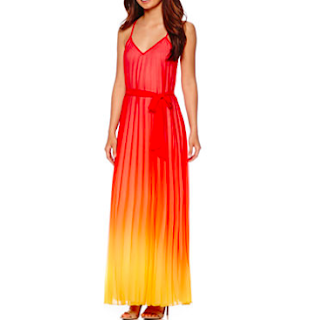 If we didn't...this would already by in my closet. I love the contrasting colors, trim, and lines! The price on this is unbeatable. Throw on some of yesterday's beaded earrings and you are ready to go! Have a warm weather fall wedding to attend? This is your go to dress. Warm night, sunset party/date/wedding? Yes. 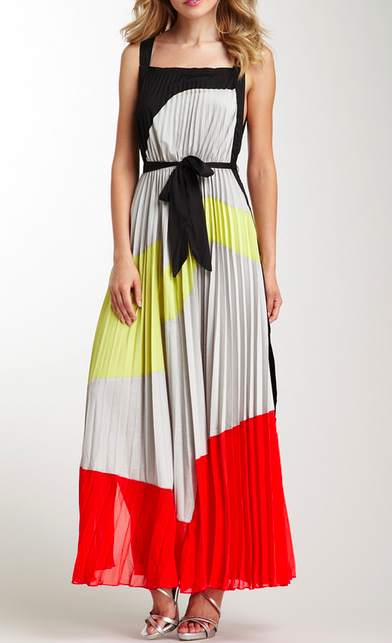 Maxi accordion pleats are one of my favorite styles for warm weather. I think they are easily dressed up or down with minimal effort. Play with colors, patterns, or solids to really have some fun.